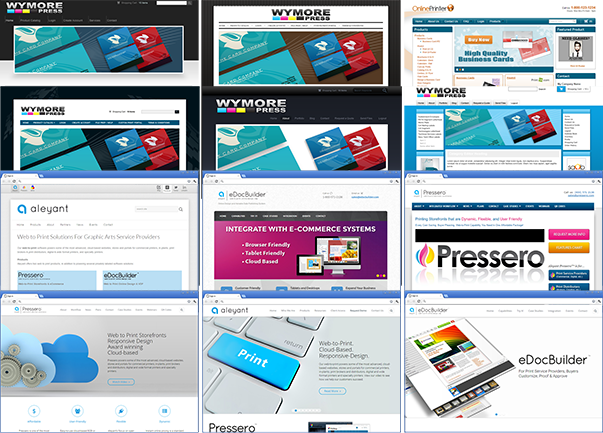 Pressero powers some of the most advanced, cloud-based websites, stores and portals for commercial printers, in-plants, print brokers and distributors, digital and wide format printers and specialty printers. We connect easily with over 80+ technology integration partners. Get More Productivity + Profitability With Our Web-To-Print Technologies, Including Workflow Aimed at Lights-Out Automation. 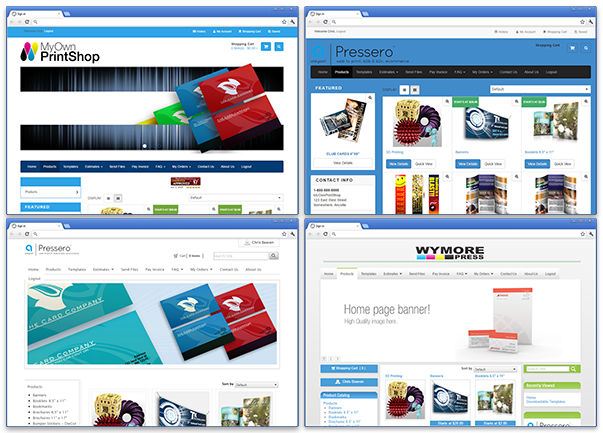 Pressero is one of the most complete web-to-print solutions within its price class, providing many features our competitors do not offer. Easy-to-use cloud-based B2B or B2C online storefront solution that can quickly and easily be customized to your needs as well as your clients’. Aleyant's focus on open architecture and xml based web services for its Aleyant Pressero™ system opens up integration possibilities with MIS, ERP, workflow and other 3rd party systems you may already own or decide to buy later. Instant online pricing is a standard feature of all Aleyant Pressero™ e-commerce storefronts. When adding a product to your online storefront, you can choose from three different types of instant pricing calculators. Create multiple Business-to-Business (B2B) storefronts uniquely tailored for each your customers. When logged in to their storefront, only their print products will be seen. Offer an unlimited number of products, variable data templates, and user accounts. Customize the buying experience for your customer including user interface, branding, pricing. shipping and payment options. approval workflows, mutli-level permissions, and more. Harness the sales and marketing potential of the Internet with a retail storefront. 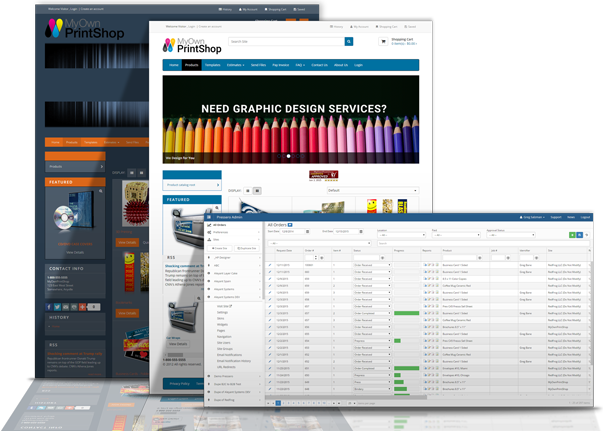 A highly customizable Business-to-Consumer (B2C) storefront will enable you to sell your printing services to anybody online, at any time of day. Instant pricing calculators, search engine optimization capabilities, and integrated shipping rates work together to give you a highly professional looking and fully functioning storefront. Having an attractive, informative website is no longer an option in today's business environment. All too often you will be judged by potential and current customers by your website (or lack thereof!). With Pressero's customizable website layouts, content management system (CMS), and WYSIWYG page editor, you can easily create a professional looking informational website that is sure to make you look good. Integrated file transfer and data collection forms round out the uniquely print oriented capbilities of Printer Informational Websites. 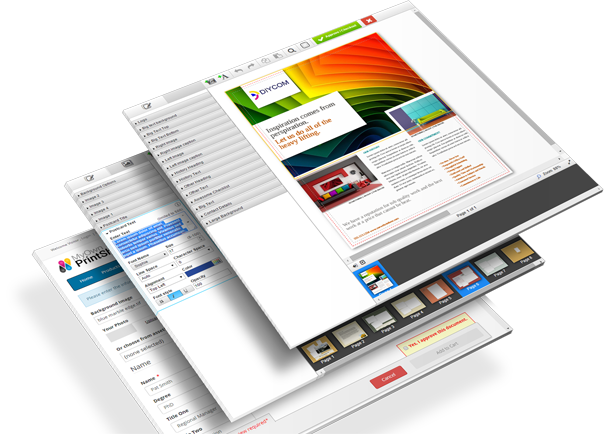 Pressero web-to-print storefronts include the powerful eDocBuilder personalization and variable data publishing system. Using eDocBuilder, your customers can quickly and easily customize, proof, and approve documents directly from a web browser. Text, images, data files, QR codes and bar codes can be merged into the finished item. As the printer, you'll receive an imposed, press-ready, optimized PDF (or PPML) file immediately after the order is placed. Think of the time you'll save and headaches you can avoid by having your customer complete these steps online. You can focus on what you do best...printing! "Incredible support. I always get great service and answers to difficult situations. Thank you very much." Jodi Smith Corporate Color Printing, Inc.
"Fantastic support! Aleyant support has been nothing less than fantastic and I have always been able to get just the answer I need in a short amount of time with little to no productivity time lost. Thank you!" "We use Aleyant Pressero to automate order-taking with a very large corporate account. Their nationwide staff members can login and easily customize their business card orders and order sales collateral. The customer is very happy and is giving us more work as a result." "Best support team I have worked with in 20 years in the industry! And I have worked with some exceptional people over the years. THANK YOU!"